Your pizza is made-to-order with real, fresh ingredients. 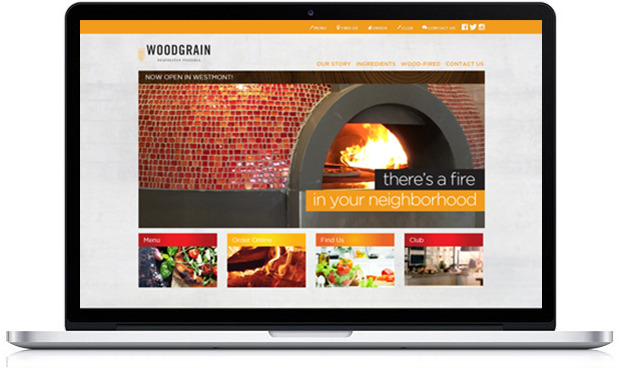 Create your pizza and we'll bake it in our genuine wood-fired oven. Start with our classic Neapolitan dough (grain), add your favorite sauce, exceptional quality toppings, and real cheese. At 800 degrees, 90 seconds is all it takes to produce a crispy and tender pizza in the Neapolitan tradition. 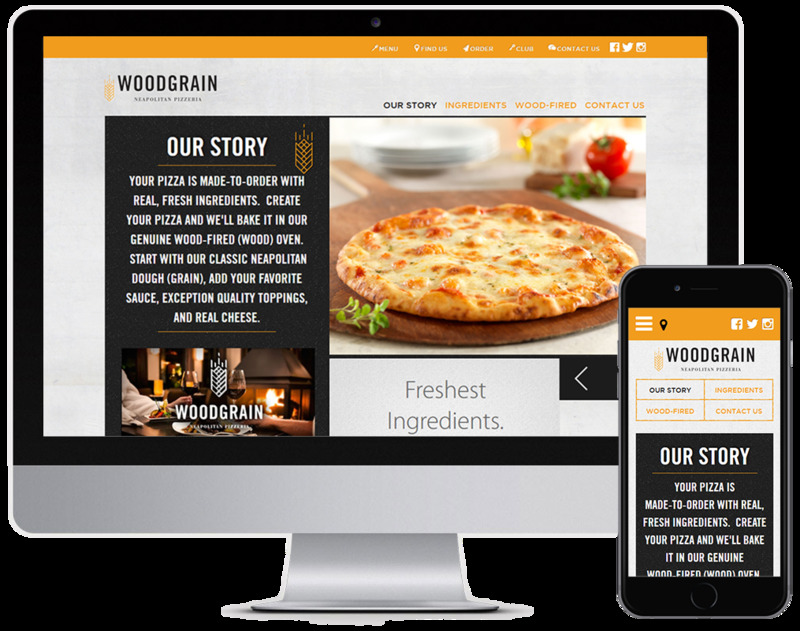 Woodgrain Pizzeria wanted to incorporate an integrated social media platform that enabled them to share all of their social content in one place. We installed Instagram, Facebook, and Twitter plugins into the 'Social Media' section of the website, which directly pulls through new videos and posts, allowing visitors to get a snippet of what they're in store for.